At simCEO, we are educators at the core. We founded our company with the belief that learning in schools must to be naturally engaging and mirror the skills of the real-world to promote intrinsic student motivation. That belief has guided us in creating a learning experience with five unique features. Learning - for tomorrow - must address these elements. In this post, we explore part 3 of 5: the role of contextual learning. What does the research say? How have we attempted to contextualize learning? And, what problems still exist? Constructivism as a paradigm or worldview posits that learning is an active, constructive process. The learner is an information constructor. People actively construct or create their own subjective representations of objective reality. New information is linked to prior knowledge. Social constructivism looks at learning from a social perspective… As students engage in discussion and social interaction they construct their knowledge by considering other peoples’ opinions and actions. Educators have the opportunity to eavesdrop on ideas that are going back and forth between students, give feedback and guide student understanding. So, we know students need to construct their own knowledge. We know that activities such as spelling lists of 20 random words are ineffective. How do we provide experiences which contextualize the content? How can we provide environments which foster students constructing their own knowledge and understandings? One of the more effective tools to help educators design these experiences - often known as Authentic Assessments - comes from Grant Wiggins’ GRASP model. GRASPS is defined in more detail here, Wiggins himself provides many concrete examples of what these experiences look like at various subjects and grade levels. At simCEO, we focus on creating these experiences. These authentic learning experiences allow students to construct knowledge. Project-Based Learning (PBL) advocates have championed this model for years. It’s a model that has struggled to find it’s footing in Games-Based Learning (GBL). Early games bring to mind flash cards. Later developments focus on quests that may or may not be authentically connected to the desired outcome (travel through space to return home by answering math questions not connected to the quest). The recent introduction of multi-player games -and the great success of games such as MineCraft - highlight the potential GBL has in tapping into the social constructivism within open-ended environments where there are multiple pathways to the same goal. At the core of making the experience authentic and real world, we need to give students an explicit role with a specific goal. 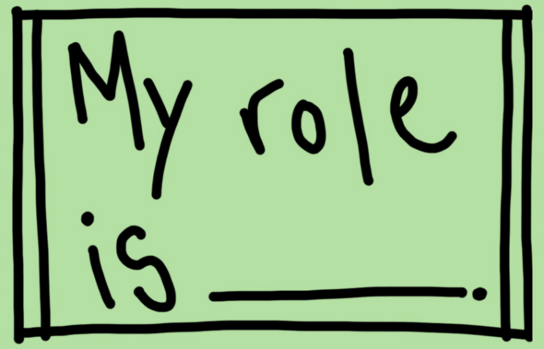 But these roles need to allow for students to take their own direction and make their own choices. Students must be given the space to construct their own knowledge as they learn from - and with - others. That doesn’t happen often enough in classrooms, and it happens even less in GBL. That’s both the beauty (and potential) of GBL, and highlights the main challenge that lies ahead. Games like Minecraft are not directly related to most traditional school curriculum. They often require educator-customization to target traditional outcomes. (The importance of traditional outcomes such as math, history, etc. compared to 21st Century Skills is a separate question, worthy of separate exploration.) If we are to assume that traditional school subjects will continue to be driving force in our learning, then open-ended GBL experiences which foster creativity and problem solving will need to balance, support, and align with traditional subject outcomes in order to facilitate adoption. It’s a challenge to develop these GBL experiences without making them sequential quests with right/wrong answers; To fully harness social constructivism, students need to interact with the each other (not a computer program) to learn and problem solve. We’re navigating the tip of the iceberg. We have lots to uncover. At simCEO, we believe we have a model that addresses this challenge, and highlights how GBL can change learning. Using the GRASP model, here’s where we believe we’ve succeeded… and where we still have work ahead of us. Students have 2 authentic roles within their classroom stock market: 1) as a CEO, to create and manage a company that ends with the highest share price, and 2) as an investor who can maximize a starting $10,000 investment portfolio. As students create and manage their company, their audience is their fellow students - who will play a role in evaluating them in their dual role as investors in the stock market. It a less-connected context, the “audience” for the students’ work can also be the parents and community, if the simulation is shared with others. Students each asked to create and manage a company within an instructor-defined context (eg. Boston 1776 or NYC, current day) for a fictional 10-year period. These companies form an interactive classroom stock market. Additionally, students will review each other's’ companies and are asked to maximize their initial $10,000 investment portfolio.wisely as they react and apply knowledge to news articles which are introduced. Students need to create and manage a viable business plan that will be successful over a fictional 10-year period in the setting chosen by the instructor. Students will also need to make wise investment decisions based on changing conditions during the simulation. In an pedagogical sense, simCEO is linked to standards in Economics, Business & Entrepreneurship, and Financial Literacy. These are included. Instructors can also customize elements of the simulation to target more traditional standards, as desired. ending share price. This indicates that their answers have successfully influenced their peers (and teacher) by effectively communicating a quality solution (business plan). ending investment portfolio value. This indicates that they were able to apply a solid understanding of the impact that various news articles would have on different companies throughout the simulation. We continue to seek help from passionate people and organizations who are interested in partnering with us solve our two main challenges. CHALLENGE #1: Teacher Customization: How much do we desire teachers to be involved in aligning their GBL experience to their curriculum and their students? Should student business plans be limited to one type of company or industry? How complex should the business plan be? What topics should the plans cover? Should simCEO have a specific time, place, and conditions to dictate the simulation? What types of news articles should students encounter during the simulation to encourage them to adjust their business plan or investment strategy? We’ve tried to balance the following aspects, providing some default options while opening the door to teacher customization. But with each option we offer for teacher customization, we lose the ability to structure a sequential storyline. This increases the teacher’s responsibility as the experience becomes less of a ‘plug-n-play’ tool. It also makes assessment trickier. CHALLENGE #2: How much, and what type of, assessment should be built into an open-ended simulation? Plug-n-play games allow for easier built-in student assessment. Open-ended simulations like MineCraft and simCEO rely more on teachers. To some degree, this is simply a perception shift that needs to happen. Pre-programmed assessments, by their nature, are right/wrong. Once we place students in authentic contexts where they can create their own solutions, we limit the amount of pre-created assessments that are possible. When we allow teachers to customize - broadening the scope of what is possible to meet their learners' needs - we limit the scope of pre-programmed assessments even further. But thankfully, these types of GBL experiences allow for true student reflection within an authentic context. We see how students apply their understanding in action. Their actions, and reflections on those actions, tell us so much more about their level of understanding than any multiple-choice test could. The cultural shift comes in how we view these open-ended GBL resources. Instead of plug-n-play experiences, we believe these resources should be considered authentic contexts to apply content. Instructors are empowered to shape the specific content and assessment - and can even incorporate their traditional classroom assessments into a new environment. Instructors who approach these environments as plug-n-play experiences, where students click “go” and are immersed in a simulated environment which measures their ability to choose the correct multiple choice options, will likely be confused by this new type of resource. But as this cultural shift takes hold, we can truly empower instructors to drive assessment. We remain committed to bringing social constructivism to life in GBL. These are the problems that need solutions in order to take the next step in games-based learning, integrating our GBL environments into open-ended PBL ones. We are encouraged by the reality that these problems are best solved by educators themselves (instead of programmers). Our hope is to leverage the collective intelligence and experience of educators and innovators around the world to build these environments for our students. It's a journey. That's our mission. If it's one that moves you, join in and help us make it a reality. At Jetlag Learning, we create online learning simulations where students compete and interact with one another - instead of a program - to make the learning environment more dynamic and mirror real-world problem solving.